This is the blog post you need to calculate your food product cost and make sure you’re making money, too. I’ll walk you through what’s included in your cost of goods sold, how to calculate it. etc. And then, we’ll walk through how to price your product through the distribution channel. Oh, and examples. Because nothing with numbers makes any sense without examples. What’s included in your cost of goods sold? It’s part of getting that ingredient to your kitchen. Here’s an example of how much shipping makes a difference. You order a 50# bag of flour for $50 – $1/pound. But, it costs you $25 to ship the flour. Your $1/pound flour skyrockets to $1.50/pound. That ultimately increases your product cost. That’s why manufacturers order enough raw materials to get free shipping or spread shipping across more items by increasing the order size. Why include your own labor? If you’re making products in your house, you have to include labor because, if you don’t, you’ll lose most of your gross margin when you you move to a shared-kitchen or co-packer. For example, if it takes you an hour to make 12 jars of jam, and you “charge yourself” $15/hour, you’ve got $1.25 just in labor cost. Pro Tip: Keep track of changes in your cost of goods sold (COGS). When your ingredients, packaging, and labor increase (or decrease, if you’re lucky). your total product cost changes, too. In some cases, you’ll swallow the increase. In other cases, you’ll have to increase your prices. And don’t be afraid to increase your prices. The total cost of ingredients is $2.79/recipe. This recipe makes 12 jars of jam. That means your ingredient cost is $0.23/jar. Now, let’s look at packaging. I’m packaging my Lemon Blueberry Jam in a glass jar with a silver lid and a label. Let’s look at each component. TOTAL: $1.11/jar in packaging costs. Labor costs: Let’s take the example above, but increase your production capacity. Let’s review. If you held a jar of Michael’s Lemon Blueberry Jam in your hand, it would cost you $1.48. That includes ingredients, packaging, and labor. Now, you’ve got the fun part — pricing your product through distribution. That means broker (even if you don’t have one), distributor, retailer, and finally, the end consumer – the price on the shelf. How much do you think your $1.48 jar of jam is going to be on the shelf? Let’s find out. That’s a difference of $1.23, depending on which margin you choose. You want a high margin so you have room to fit a broker’s free of 5-7% into your cost structure. Plus, you want to have room for promotions when you start using larger distributors. For simplicity’s sake, we’ll say you’re going to have a 50% margin. That means you’ll sell your jam to a distributor for $2.96/jar. Now, let’s look at what your distributor would sell your jam to their retail accounts for…. Distributors usually take another 30% margin. See how that adds $0.28 to your wholesale cost with some simple shipping? Pretty crazy. Now, let’s take the non-shipped cost to a retailer to see what price they’ll sell your product for. See how your jar can retail for anything between $6 and almost $9 depending on where your product is sold. That’s pretty wild, isn’t it? Your jar of jam that costs you just $1.48 retails for an average of $7.18? Don’t think for one second that that’s too expensive. You make a super-premium product. It demands a higher price than everything else on the grocery store shelf. After all, you’ve got to make enough money to put food over the table, a roof over your head, and clothes on your kids. The more money you can make, the better. (Yes, it is about the money in the food industry). And the high price tag is what you charge your customers when you do a farmer’s market, fair, or event. That’s why events are so great – your margins are sky high and it’s great marketing – a win-win, if you will. Where else can you make $5.52 per jar in gross profit (that’s profit before operating expenses)? Let’s look at how different it would be if you took a 60% margin, your distributor took 30% and high-end retailers took 50%. In that scenario, your jar of jam would retail for a whopping $10.57! Whoa, baby! A quick note about testing your price…..
Will consumers pay for a $12 jar of jam? Maybe. You’ll have to find out. Or, does 4x the jam move when it’s $3.99? No one will know until you test your pricing. And if you find consumers will pay less, you might want to see if you can cut your costs down. With that being said, you still need to make money. A higher price point may be the only option for now. After you’ve established pricing, you should focus on decreasing costs. That usually means buying more ingredients in bulk, glass by the pallet, or increasing the number of units you can produce in the same amount of time. Let’s look at how much more profit you’ll make if you decrease your cost just $0.10/unit. There’s so much math! What does this all come down to? It comes down to this…..how much money do you want to make? Do you want to make $60k a year from your food business? Maybe $100k? Whatever the number, you can use your pricing to figure out how many units you need to sell every week/month/year. Let’s see what it would take to make $60k a year – that’s a net profit of $5,000/month. Now, most companies use a blend of all three channels – distribution, retail, and direct – to grow their business. But, you can see how going direct to retail – or to the consumer – is the way to increased profits. This shows you how much product you need to produce and sell every month to sustain a profitable food business. Pricing is not simple. It’s a complex animal that is constantly evolving. You have to stay on top of it, scrutinize every penny, and make changes where you see fit. That may mean changing your business model, increasing/decreasing your pricing, or cutting down on your operating expenses. You are in business to make money. If you make jam that costs you $2.00 and sell it for $3.00 at a farmer’s market, you won’t make any money when you sell your product through the distribution channel. If you have dreams of selling your product in stores, all of this pricing has to be taken into account. And if you use broker’s, make sure to add in that extra 5-7%. Business is tough. Pricing your product right helps alleviate some of the risk because now you know you’ll be making enough money when you sell your jar of jam to customers. take your company to the next level. Spam free. Thanks, J.R. Happy you found it helpful! Thanks so much for this article! You don’t know how much this helps me!!! I love the way you break down the numbers!! You just made this so easy for me to understand!!! Awesome, Val — glad you found it helpful! Thanks so much! This is the clearest, most understandable explanation of this subject that I’ve ever read. We’ve needed to review our prices & this will be SO helpful. Awesome! So glad you guys found it helpful! GREAT post! very informative and well written. Thanks, Jon – glad you found it helpful! I understand what you are saying.With your pricing method you must also look at what the market will bear.. Yes, Harold — good point. Only so many people will buy $16 salad dressing…. This is great Mike. I’m going to use this to revisit my pricing strategy. You are right it is all about the numbers and it is so daunting. One of my goals is to get to where I’m really comfortable with my pricing so it doesn’t seem like such a task. Awesome, Denise! Make sure you review your costs every once in a while, though! Hi Michael, thanks for the informative article. Our problem is one of what people will pay as well. We make gourmet nuts, and there is only so much people will pay for nuts. If I have a COGS of $1 for a 3oz bag of nuts that I sell for $4, have I pretty much screwed myself in terms of distribution profit? Not necessarily. Is that $4 direct to the consumer? That’s a good price – and you do have enough room for a distributor and retailer margin. For example, if you sold through a distributor (30% margin) and retailer (40% margin) at a $1 COGS, your nuts would retail for $2.49 (most likely). That means you have a little more room if you want a $2.99 MSRP. Ultimately up to you! But, keep in mind what your competition is charging and what people are willing to pay. My favorite nuts (Squirrel Stash Nuts) are 4ox for $6. And they’re awesome. But, I don’t buy them all the time. This is a really valuable article. I would pin it up on the wall for a minimum monthly review! I am a raw food chef and want to offer a $10-$12 raw food sandwich at farmers market. My COGS are $4-$5. This is only the cost of food not labor. Is it worth my while to make and earn a profit? If it’s just you making the sandwich, it’s probably worth it. You sell 100 sandwiches at a market, you’ll make on average $750 – or $3,000 a month. However, I’d add labor in because you’re bound to become successful and hire people to make the sandwich for you. Let’s say it takes 5 minutes a sandwich and you hire someone at $12/hour. They make 12 sandwiches an hour which is $1 a sandwich – and you can be out growing your business. I’d say go for it. Nothing ventured, nothing gained. What’s the worst that could happen? I am a brand new food entrepreneur in the pre-start up phase. I just wanted to say THANK YOU for posting such a helpful and informative article, and for reinforcing the fact that the end goal is to make money. By reading this, I can price correctly from the start, and avoid some early pitfalls I may have had. The simple example using layman’s terms is much appreciated! Thanks so much for sharing! You’re so welcome! Glad many of the posts have been of value to you! Thanks, Jenny – best of luck! Thanks…for sharing food products and Ingredient prices in blog. i find it long times…..
You’re welcome! Glad it was useful to you! Thank you so much for your awesome insights! We manufacture a specialty dough mix through a co-packer because of the need for our product to be certified gluten-free. That being said we are relatively new to the game, just over a year and a half, and have a very high manufacturing costs simply because we don’t have the sales yet to make bigger runs of product. (1000lbs yields us around 1600 boxes, about 260 cases) Currently our cost is $4.01 out the door with freight etc. The problem that we have found is that the market is only willing to bear a retail price of around $6.49-$6.79. When we launched we did so at $12.99/box which sells well enough on Amazon but in a retail scenario we found that a $13 box next to a $6.49 box loses every time, even though we are a unique premium product. As a trial we dropped the price to $9.99 but still not many sales. Then in desperation, we dropped it meet that $6.49-$6.79 threshold for all the other “like” products and voila we started to sell a good amount of dough mix at local stores and farmers markets. I guess the question is this: How would you go about increasing margins and make money in this scenario? I have been racking my brain since we launched. The gluten-free crowd is a tough one and none too willing to try new and expensive items unless it has a proven track record… which we are slowly getting through our Amazon reviews. Thoughts? Hey Chris — thanks for the comment. So happy you found value in the post. You have an interesting problem here, but it isn’t the end of the world. Right now, you don’t have enough of a margin to cover the majority of your operational costs. But, it is worth experimenting to see what happens. – Can you reduce packaging costs in your box or bag? – Can you buy equipment to speed up your co-packer? – Can you reduce your package size to one crust and lower the price point? One final question to think about is, are you communicating the value to your customers well enough to where they don’t have to think twice about spending a premium on your crust mixes. Hope this helps — good luck! I have one product and I am sturggling on pricing wholesale. The product is a 3 oz jar of pain cream, my cost is 4.37 a unit. Can you please advise me on how to price to sell to a grocery store? Thanks for reading! In general, you can multiply your COGS by 4 to arrive at a rough retail price. $4.37 x 4 = $17.48 – this means, your product will likely retail for $19.99. Since it’s a cream, I’d imagine you could get away with that price point. Here’s your rough pricing, assuming you give yourself a 50% margin, your distributor takes 30% and your retailer takes 35% margins. This would round up to $19.99 I’m imagining. It also means, you’d sell direct to a store for $12.48/unit. I hope this helps — good luck with launching your product! Just a few questions I had that I am hoping you can explain. •	COGS – would an organic or kosher certification, be part of COGS calculation? I ask because even if you factor the costs to create the product above, you still need to pay for the certification before it gets to be sold. In addition, how about the freight out to a warehouse once goods are produced? Is that considered COGS? •	How do you determine your wholesale cost and what do you tell a retailer that wants to go direct? As per your example, would it be $4.23? What if a big box retailer with 100’s of stores? Would you give them the distributor price of $2.96 or maybe a discount/”special pricing”off from the $4.23? Alternatively what if someone overseas wanted to purchase a possible large volume (ie a container)? What discount would be possibly given or price to start negotiations? •	Do manufacturers ever provide different distributor costs to different distributors? For example Distributor A will work with you for $2.90 a unit and Distributor B will work with you for $2.96? •	Special Price/Volume Discounts – Where do you ever start negotiations when going direct to retailers and at what price points? For instance do you give retailer a price of $4.50 and negotiate anywhere above $4.23? Or start at $4.23 and negotiate as close as possible? Does the same when looking for a distributor? Hey Jesse – thanks for the note. Sorry it’s taken me so long to get back to your questions – I’ve been at a lot of festivals. Here we go! 1. COGS: I would count certification as part of your start-up costs. This means your break-even is going to be more to accommodate this extra cost. Shipping to get it to a warehouse would be a cost because it transports your finished goods to their final destination. 2. Wholesale cost is the price your distributor would charge a retailer – that way you’re not undercutting your distributor. Going direct is simply eliminating the distributor. In the example, it is $4.23. Don’t go down on price unless you have to. Your wholesale cost is what it is so you can cover your operating expenses. For large container orders, I wouldn’t go too much more than 10-15% off your distributor price. You still need to make money. 3. Distributors: don’t provide different pricing. Just don’t do it. 4. Special Discounts: Keep your pricing simple. Don’t pull anyone’s leg. Give it to them straight. I don’t go below a certain price because I need to make money. This is called dead net. Congrats on starting a jelly biz! I’m assuming Peterborough is in England. If that’s true, I don’t have too much to offer up for suggestions. I’m US-based – in New England and know a lot of resources here. best of luck on your search across the pond! Hi Michael, great article! I am struggling with pricing right now for a beverage product I am making. I just started a specialty food business in New England and I will be adding new products next year…this article helped me because right now I am selling directly to consumer as my retail and wholesale licenses are pending making about a 40% margin…so would I have to lower my price to sell to distributors, making less margin? Thanks for reading! You’re selling to the consumer at a 40% margin? If you are, honestly, you’re going to burn through cash and go out of business. You need to be selling direct to the consumer at a 70%+ margin. That way you have enough margin to integrate a retailer and distributor into your sales channel. I’d re-evaluate your pricing before moving forward. Ok, so then I will have to double my price…what about 60%? Is that still too low…I’m just struggling with doubling my price I guess…but you are right, I was already feeling the strain…that’s going to be a hard sell since my COGS is kind of high right now…but I will try. Firstly, really love your breakdown that makes it a little easier for people like myself that have difficulty with figures! 1. I reside in Europe, and planning to sell jam online. Do I include the 19% when I quote prices to distributors / retailers? 19% makes hell of a difference my jam which averages about €1.10(30g) and €2.00(130g). I don’t really know where to fit in this tax portion in my calculation! 2. To verify what you shared, the price I quote customers online, should it be the same price a retailer would sell it for? Or cheaper on my website? Really sorry, rather confused on this part about setting the price for distributor, retailer, and selling online directly to consumers. Wouldn’t want to over price and be out of the game. 3. For an online business selling jam, could you kindly guide me a little on what operating expenses may include? Really appreciate your time and help Michael! You are a saint 🙂 All the best for your business. 1. If the 19% is a tax, it would be included on your invoices to retailers and distributors. If it’s a tax charged to consumers online and they know about it already, I wouldn’t worry too much about it. I’m just not familiar with business in Europe as I am in the states. 2. Your online price should be the price a retailer would sell it for – or higher. You want the highest margin possible when selling directly to your consumers. 3. Operating costs for online businesses have the following costs: online ecommerce platform, credit card processing, freight costs, packaging materials, printed materials, labor to pack the order, and online marketing expenses. Of course, you’d also have to work in insurance and other general business expenses. Hope that helps — good luck selling your jam! Thanks a million Michael 🙂 Really appreciate the advice! Thank you for your time. Have a great day! Great article. Are your example margins for manufacturers, distributors, and retailers based on nationwide data? I manage a food business in CA, and I’ve never encountered a distribution company that expects a 30% margin. Also, most distributors speak in terms of markups instead of margins, and even the pricier distributors only markup 30% (with the bigger distributors using a markup as low as 8%). These numbers are not based on national data. I’m basing the numbers on my 12 years of selling food products in the Northeast. All five of my distributors work on margin – and all take 25-30%. While UNFI and Kehe may take a lower margin, they tack on added costs like case-splitting fees, mandatory advertising, and other fees. Other manufacturer’s may have different experiences, however, this is how I’ve been pricing a food product for years – and how you’re taught it you took a class with the National Specialty Food Association. Thank you for reading my blog — best of luck in your food business! Thank you for this. It’s very specific and so helpful. I am working on a beverage and figuring out my distributor cost. Being on the east coast, I have estimated that my delivered cost to a local distributor would be approximately $1.45. However will this price need to change for a distributor out in California? Meaning would I pass through the cost to the West Coast distributor and charge for example $1.60 a unit (Assuming $0.15 per unit extra to deliver) ? Or do I reduce it from my costs making only $1.30? Or alternatively share the cost and charge $1.52 per unit delivered? My fear is that if I provide a delivered cost of $1.60 per unit to a distributor in California, this will for sure be unattractive with thinner margins for everyone involved especially if trying to keep the same SRP with all retailers. Lastly would you know the industry gross margin % standard to be considered a healthy business? I have heard gross margins should be at 40-45% but not sure if that is correct. Thanks again! Thanks for reading the blog. Sorry for my late reply. For some reason I wasn’t getting the comments in my email. You will have different pricing given geographic proximity. They may pay shipping because they have brokered freight deals. You might not have to worry about it. Or, you just give them a delivered cost. Either way. For success, regardless of channel or product, you want a 40-60% GPM to cover your operating expenses. Obviously, the better the margin, the more money you make. Apologies for a late reply – I’ve been slammed at our kitchen. Finding a broker for a brand new food product is tough. You need to have a little bit of traction, at least regionally before pitching a product. A quick google search in your specific industry should yield options. See if they’ll take a quick meeting with you! Hi, I am so concerned about my product, can you help me to figure out if it’s worth to go to distributors and retail shops or it’s a dead thing. I have a recipe of healthy organic granola, manufacturers would make it for 3.50$ at the best scenario, but might be 4$. Distributors take 30% and they offer 30% for retail shops. The max price on the shelves in the shops should be no more than 6.99$. If I add on each product just 20-30 penny for myself. Would that work? Is it possible to earn enough money per month if I get just peanuts from one pack sold? I do not have experience in food market and not sure if I start this business or just stay online/close it? Sorry for my late reply – it’s been crazy at the kitchen. I woudl not pursue your granola. Something made for max $4 is going to hit the shelf for $12-16 and you’ll price yourself right out of the market. You could sell direct to consumer as a side gig, but I wouldn’t pursue this much further. Thanks for reading the blog! I am so glad I found your article as I was doing all of my pricing wrong. I am about to launch a new super food product to market. I manufacture my product abroad and my import and shipping costs are high. Doing all the correct math I just learned with you, my MSRP is average with other super food products out there. I would love to know about your experience with UNFI and other distributors, did you made the deal yourself or with the help of a broker? Also to have a reference, around how many cases do you sell per store per week? Do you ship full pallets to your distributors? When selling directly to retailers, do you ship to their own distributor centers? You ship pallets or cases to them? Happy to help with the pricing – it’s a complicated subject and can spell doom for many startup businesses. I have not worked with UNFI because I don’t have the margin to justify it. I would imagine a broker would be your best route. In my best stores, I’m moving about 3 cases a week. I ship and do direct delivery. Distributors pick up what they need from my kitchen – or get a pallet. Thanks for reading! Also do you know what margin online stores get? What would be the pricing structure for them? Should I give them wholesale price? Online stores, if they are reselling your product, would get wholesale rates and then mark it up as much as they want. Thank you for sharing. It is very helpful. Hi Maria – sorry for the delayed reply. You’re likely looking at 25-50%, but it depends on the product. Know what your cost is and know how to hammer down your COGS if you’re trying to hit a certain price on the shelf. But, you can also chalk up the price increase to an opportunity to sell your product instead of make it. 40% is certainly realistic. You definitely do not have enough margin built-in to keep running. I’m assuming your cost is mostly labor. You may want to look into co-packing to get your unit cost down. Good luck! Thank you very much for all this information. I was wondering if we always have to add our labor cost since the beginning. I have done my calculations by figuring out my cost (everything that goes in the product and leaves with the product – no labor included since it stays in the kitchen) and then add 250%-300% plus my cost. I am too doing my own distribution but it is getting harder to do as a get more stores. 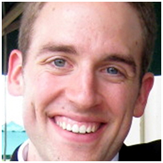 Hi Michael, thank you so much for this tremendous blog! It’s sooo incredibly helpful! 🙂 I just have a question – how do companies like Morton’s selling Iodized salt at like $1.50 per pound make any money? Is it just pure volume of sales? I can’t imagine they make much money per salt canister. Also, have you taken your product directly to restaurants? I’m wondering what differences may exist as compared to selling retail. And how to pitch to them…. Happy you found the blog and you’re getting value from it to use to build your business! Morton’s is able to do what they can because of volume and because of contracted rates with their suppliers. Your goal should not be to focus on the huge guys, but your own company and how you can differentiate away from Morton’s. We are just starting to feel out the restaurant industry. The majority of our current line can’t be made into food service, but we’re launching a separate food service line to try and grow our sales. As for sales tactics, owners are price sensitive. You have to add value where you can. For example, if you can sell a product to restaurants that is a pain to make in-house you may have an in. Pitch a few local restaurants and see what feedback they give. Don’t ask for the sale immediately, but listen to them to see what their pain points are and how you can address them. Just wanted to say thank you for providing this real world information. I work with Entrepreneur students at Fresno State and many of them are interested in the food business. I was looking for an easy way to explain to them pricing strategies in the food industry and this blog is spot-on. Kudos! Hey Nancy — glad you like it and thanks for using it as a resource in your business class at Fresno State – that’s awesome! Thanks so much for all of this info! So valuable! I’m starting a granola company and am trying to figure out my pricing. It’s a premium product – no preservatives, no skimping on fruits and nuts, homemade ingredients like candied lemon peel and candied peanuts, etc. At this point I’m going to be selling at the farmers market and to a few local stores. Right now, my COGS is $4.50 per 8 oz. jar of granola (it will decrease soon with bulk pricing that I’m going to be getting, but for now it’s $4.50). What should I charge at the farmers market, and what to the local stores? But first, you need to reduce your costs. Otherwise, you’re going to have a tough time selling granola at $18 for 8 ounces. This also gives you a 40% margin into a distributor — it should be closer to 50%. With that being said, if all you want to do is sell direct to consumer, you could get away with $9/jar — still pricey. great info on your blog.I am about to start our own spicy sauce biz, luckily I have done these similar exercises with 2 partners I had in a nother biz and they were Mckinsey company partners/consultants.even so, your content is very informative. Thanks for the comment. You can get decreased costs depending on if you have a lot of customers there. If you don’t it doesn’t make any sense to produce there. If you do get a large order, it’s nice to know that you have the production to back it up instead of scrambling to fill the order. Very nice information up here good job nice knowledge. Thanks, Ainesh! Glad you enjoyed the information! Right on point, direct and clear. Love it! Thank a lot for sharing this information. Thank you for your kind support for a lot of us in need for a helping hand. Great guidance thru the costing process. Hey Rob — glad you liked the information. Thanks for reading the blog! What will be a good profit margin range to each of the sales channel? You want to have between a 40-60% margin into any of these sales channels. Ideally, you want that margin before you sell to a distributor but sometimes that isn’t possible. Good luck! Thank you so much for this great article!! It helped me greatly on determining the price for my cream. I was charging initially $25 and after I utilized your wonderful math breakdown I have raised the price to $29.99. However, I do have a question regarding the overhead cost. You mentioned above 30% for operating cost. Is that the food/cosmetic industry average? I just want to make sure that down the line when a facility or other expenses arise I can cover them and not be in negative. Thank you so much!! Please continue writing these awesome articles! Thank you for your comment! I’m glad you raised your prices – always a good thing! As for overhead, 30% is typically what I’ve seen in the food business, but it depends on what you have for overhead. For example, my overhead this year is 20%, but it has been as high as 35%. Always plan for more overhead than you think you’ll have! Hope that helps – best of luck growing your business! Wow! What a great article. Thank you so much for this. I’m starting a hot sauce company and my cost is around 75 cents per bottle. Most sauces like mine are around 5-7 dollars at markets and stores. I figured I could sell at farmers markets around 5 dollars a bottle but still am a little confused on how much I should expect to sell to a distributor or retailers. Is my price too high? That was a Great Article. Thank you! I am planning to start a small business to make tomato Chutney. This is an Indian recipe. Everything seems so overwhelming, I have an additional expense which was not mentioned in this article. I am planning to rent a shared commercial kitchen. So that adds up to the price too. Do you have any advice for me? Cost/Unit to Produce in the Kitchen: $0.35. This number is added to your ingredients and packaging costs. Hope that helps! Good luck with your chutney business! I’m starting a small hot sauce company and I will be selling directly to bars and restaurants. What would be a good price to sell to them since they won’t be reselling it? My cost is around .80 per bottle? Hi Michael! If I am importing product, how would you factor in the various importing costs? I purchase and import a final product (from small organic manufacturers in East Africa), and then package, brand, and resell for the US market. It seems obvious to include the air freight shipping rate per kg in COGS, but what about pick up fees, customs fees, or freight forwarding? Would you consider those to be more operational costs as opposed to cost of goods sold? I was thinking of including any per kg rates (i.e. freight forwarding) but not the more flat rates. Any advice? Also, as a start up, you would recommend printing labels ourselves? I gather that from your post on labeling. How much would you factor in for that? All of those costs should be incorporated into your COGS. Your COGS includes any costs that takes you from raw material costs all the way through to the finished, shelf-ready product, in it’s packaging and ready to ship out. It’s just like importers to foreign countries. They account for product, shipping, tariffs, taxes, and more. Then, they price from there. It’s why the prices they demand are so low — because they have to incorporate all of those costs. I would get your labels professionally printed. This is your product and you want it to look AWESOME. At-home inkjet labels are not going to cut it. Pricing depends on how many you order. If you’re talking 1,000 labels, you’re looking at $0.15-$0.25 (size might make it different, too). Hope that helps you! Good luck! Hi Michael! Thank you for your reply. I’m now trying to figure out the whole concept of “cases”. I’ve received advice on selling according to case size, but I also know certain retailers (and online customers) appreciate when you can break the 12-unit case size. Do you have any thoughts or ideas on costs associated with cases? If I am packaging myself, where can I order “case” packaging? Can I use standard USPS shipping boxes and just put in 12 units or is that frowned upon? Your best bet is to weigh everything out so you can convert the weight and price per pound to USD ($). I’m happy to help you figure out your cost, but would need to know the weights. The cost for recipe pricing is $125/recipe. You can email me at michael@gredio.com if you’d like to move forward. I loved the clarity of your explanation, and the clarity of the typography. Great article. Thank you very much. In other countries, particularly Saudi Arabia, would the margins to retailers, and distributors be the same? 1. Who typically pays for shipping to the distributor? Also, is shipping usually through private carriers (fedex, ups, etc.) or USPS? 2. Why don’t you factor in shipping cost from the distributor to the retailer when arriving at your price to end user? 3. Who typically pays for shipping if I sell directly to grocery stores? Do you have any general tips around how to manage shipping costs? It depends. I have our out-of-state retailers pay for shipping. Some local retailers I wave shipping. Online orders are through USPS for the most part. Wholesale orders are FedEx unless the store requires UPS. This is a cost of doing business for the distributor — not the manufacturer. You pay for shipping (most of the time) as a delivered price to large retailers. Negotiate rates with freight brokers if you’re shipping 1+ pallet. Small orders, you can call UPS or FedEx directly. Michael … i wonder about your Op Exp on your goods. I’ve read other blogs which say you should add 30% to your COGS first before adding a wholesale margin. That would make your calculations a lot different. Which way is preferable ? From an numbers perspective, operating costs come out of your gross profit margin, not your net profit. You can make your margins whatever you want them to be, but know that when you’re selling to a distributor or retailer, your margin is already built in, by increasing our price 40% – 60%. Hope that helps — good luck! Thanks for clarifying. Right now our margins are 44% so we can keep our retail price under $10. It leaves us with a small amount of wiggle room, and at present time are looking at cutting costs on ingredients and bottles/labels, ect. Thank you so much for the comment 🙂 — Yes, for many people this is an eye-opening post. If it were me, you should really be selling your products for $10 with a cost of $2.49, but if your goal is to sell direct and then maybe wholesale, $7 isn’t a bad margin. Plus, don’t feel greedy, You have to make enough margin to be able to produce more product and cover your expenses. Plus, make a profit. Good luck with your biz! Recipal has a great tool for this. Enter your ingredients and costs + shipping then add in your output and the app calculates everything automatically. Yes – Recipal is great for this! Thanks for the reminder for Gredio readers! Hi Rami — if you’re paying $4.50, I’d sell it to your customers for $9. Thank you for the article, but think you are forgetting something very important, You didn’t calculate the cost of electricity and gas for the stove, do you have any suggestions on how to calculate that. Electricity and gas are overhead costs that fall under the operation of the business. In theory, your margins should be high enough to cover these costs. I wanted to thank you for your post. It was exactly what I was looking for. Thank you for this article! Very helpful. Just wanted to ask about the average distributor margin of 30%. Is this for large distributors like UNFI? I’ve heard the average being between 30-60%! (The latter sounding ridiculous!) Can they really have a margin that high? Or is it usually more like 30%? It’s usually 30%, but can do as high as 40% – 50%+ is craziness and no one would make money. With that being said, retailers could take margins as high or higher than 50%. Good luck with your business – love your fun website! Thank you so much, this gives me much better understanding. 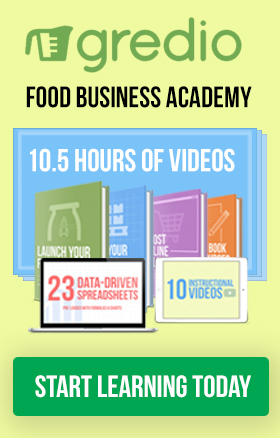 Indispensable post for everyone starting food business- so many thanks. In your calculation of COGS I don’t see that you have factored in your 30% operating expenses. If my product costs (ingredients, packaging and labor) $1.75 should I add on 30% before I figure out what my price to retailer should be? (I am not going through a distributor). 2. You may get a distributor down the road and factoring the % in from the start means you’ll be able to anticipate it and keep a similar price on the shelf. Great info you have provided but it seems a lot different up here in Canada. For example we have a product that we sell to distributors for $5.00, it retails in nationwide big box grocery chains for $8.99. Our products that we sell for $4.00 to distributors, retails for $6.99 in most stores. Another product we have is going to be sold for $6.75 to distributors with a retail price of $12.99. This is a mass produced product in a federal plant, we end up making about $1.00 profit per bag sold of our frozen meals, which is good for a quick turnover item with large orders. It must be different in America? Your content is the best I’ve seen online and I just brought your videos on pricing a food product. Great deal! I currently make savory hand pies with a COGS of $1.40 and sell direct to consumer between $5-6 depending on how I’m selling it. $6 would be more for boxed and delivered. To me my margins seem pretty good, I’m a little over 70% with room to work with a distributor and retailer in the future when I expand to a co packer. I would say my biggest challenge I expect is to getting people to buy my product, which would normally be half the price from the big competitors. Even little mom and pop shops sell this product at a much lower price, makes me wonder how they are surviving in a place like NYC At the end of the day I want to make money on my product . Hi Sam – thank you! Your pricing is pretty spot on. Competing on price just isn’t going to work for you, but selling your story and how you make your hand pies with superior ingredients will help you get the premium price point. Good luck! Just working on my business plan and can’t tell you how helpful this clear explanation was! Just wanted to double-check: I’m only including VARIABLE pricing in my plan, correct? I’ve been including fixed prices, such as monthly kitchen rent (required to sell my product commercially), monthly lawyer fees to manage my business, and product liability insurance. These all wouldn’t be considered as part of the COGs, correct? Thanks again for this, really the most helpful resource I’ve found! That’s so great to hear! In terms of COGS, the lawyer fees and insurance are definitely operating costs and should not be included in your math. The kitchen rental, however, is directly related to the production costs. Is your cost fixed per month? Or, can you attribute a per unit cost to your rental? That should definitely be included in your pricing structure. Hope that helps — best of luck! Hi Michael: Great post. I am working on my start up to make Mediterranean hot sauce. After contacting multiple co-packers, The one I finally chose is located in WI and I am based in Las Vegas ( I tried contacting few in California to ensure shipping cost will be less, but no luck). The Wisconsin co- packer could not give me a price per case yet, until the entire process is done according to their rep. My minimum will be 2400 units. They will charge $1500 for initial R&D fees even though I provided the formula, then $450/hour for them to run a machine test for the 1st batch. My 2 competitors import their 5 oz hot sauce and charge $2.50 online and in the specialty stores. I am planning to pick 10 oz bottle for my all natural sauce. Any recommendations on co- packing protocols? Any reliable California co- packer you recommend? I did commit with the current co-packer yet until I make sure he is not trying to take advantage. Thoughts? Congrats on taking the first steps to launch your food business — that’s exciting! The co-packer you’re working with does sound a little pricey and will likely put you on the shelf at a significant price premium to your imported competitors. How long does it take the co-packer to make 2,400 units? That would help determine viability. 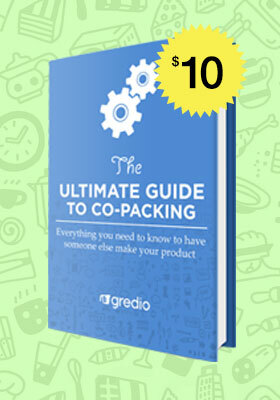 I have written the Ultimate Guide to Co-Packing that you may be interested in…. but if you wait a few weeks I’ll be running a sale on my courses and e-books. Thanks for the great article and keeping up with your replies. I own a nut roasting company and my raw cost per bag is .98 cents. The rest of my monthly expenses relating to production totals $2800. how can I determine the price I should sell my bags directly to grocery stores? My overhead cost per bag changes drastically on volume. where do I start for retail, wholesale and distribution? I anticipate a loss until my volume increases. Thanks for reading my blog. You likely will have a loss until your volume increases. That’s just the start-up world. I’d recommend working through a couple scenarios that let you know how many bags you need to sell to just cover your expenses. For example, if you sell direct to consumer for $7/bag, you’d have to sell 466 bags a month just to break even. If you sell to a distributor for $2.00, you’d have to sell 2,7451 bags just to break even. HUGE difference. I hope that helps in creating your business plan. This is a great article! We are learning so much about the food start up world. We are starting our own gourmet snack product and looking to market to consumer/wholesale/ and or distributors. Do you have an example pricing sheet template similar to what you suggested for the sell sheets? Thanks, Tia! I’d include your MSRP on your sell sheet. Then, pricing is more of an in-person discussion. If you have a ton of products, a simple pricing table will work. This was a fascinating read; after all, when you’re planning to sell food product it can be hard to tell what to price it as. I particularly like that you reminded your readers about the importance of working in the cost of your own labor. Of course, there are other costs that you need to keep in mind as well such as distribution costs if you are planning to sell to a lot of stores. First, I am located in Mexicali, BC, Mexico [but am American]. I wish to package and distribute [to start locally] small labeled and heat sealed bags of spices, nuts, dried fruits… for the local grocery stores… then a website for direct to USA orders. 1. Are you still in business? Have you changed your website/business name as my “computer security” system is telling me this site is a “bad” site… but that might be do it it being an old, out dated site. 2. Are you currently selling courses? I am an “old retired guy”, former executive chef, HACCP trained, former food writer, taught commercial food production in Oregon and British Columbia to high school students and special needs students… been a foodie all my life! Hello and Thank you for sharing what you know! We have a food product line we currently sell at farmers markets. We are meeting with our first potential retail outlet tomorrow and I have been working on our pricing. I somehow keep getting lost in the numbers and need a bit of help. So each of our 10 products have different COG but we sell for only 2 different prices. 12.99 and 13.99. Can you check my process and tell me if I have the numbers correct? Is this how I should be figuring this out? Would the retailer then need to sell our product for around $14.79 to cover their margin if it is 35%? THANK YOU.🙌 for any insight. WOW this is GREAT!!! Thank you so much!! I have been wrecking my brain trying to figure this out, going back to reading my school books,etc. you have explained it so simply. Thanks Michael, this ia very informative and well-written post. Quick question: how does one figure out ones operating expense? I was following all your math until it got to the very end and all of a sudden there was a 30% operating expense. I didn’t understand how that 30% was derived or how the actually calculation worked from that into dollars and cents. Can you please shed a bit more light? Operating costs are subjective because each company will be different, low and high. 30% is a rough ballpark for any company. It includes things like rent, utilities, administrative costs, marketing costs, etc. Thanks Michael. So I do I subtract my operating costs from my gross profit margin (50%) and thus lower my profit margin, or do I add in an extra 30% to my COGS (in addition to profit margin, distributor margin, and retailer markup) so I maintain a 50% profit margin (net)? Thanks for your guidance. Final stages of evaluating a food start-up and trying to make sure my financials are accurate before I proceed. I have a new granola company, we’ve been doing well so far. Our product is 2.40-2.70 to make- usually retails for about 9.99. We’re looking into distribution, do you think we’re at the right price point? Hi Gabrielle — seems you would have enough margin (at least on those lower-priced products) to go about 40% margin to a distributor. I have a granola company, that’s doing well. Our cost to make our granola is 2.40-2.70 (without co-packers or distributers), it usually retails for 9.99. Are we at a good price point of a distributer? Thanks. Great thanks. I’m just curious how often do you demo, and how many cases do you move per month at your fastest and your slowest stores? Thanks! I only did demos at stores within about 25 miles and I’d demo about once a quarter at five locations. Then it became three locations as I got busier. Because my product was a specific, I’d only move about a case/demo. I should also say I’m in VT so population plays a big deal, too. Thanks for your reply. One more question, should the commercial kitchen be factored into your pricing. Also do most people get copackers and then a distributer or a distributer then a copacker? Which order is the best? Renting a kitchen is overhead (in my opinion). It’s just like paying rent. Most people get a co-packer first, in preparation for larger-scale distribution, however, I’ve seen it done both ways. Hi Michael, Thank you so much for your very articulate blog. I am about to launch an importing jam-business. I am not sure I can afford it now, after the calculations. If the price to me is $2.33/jar, I add operating expenses 30%, my margin 30%, distributor 30%, and retailer 40%, price is getting way to high to turn it on the shelf at $10.30/jar! It could be the best jam in the world, but it won’t go! :(( Thank you very much for any further suggestion. Yep that’s pretty expensive jam, but it’s been done before. There’s a preserves company near me selling 2oz oz of jam for $5.49, to put it into perspective. I roast, package, and wholesale gourmet nuts. I am having a hard time determining what I should charge for shipping/transport. Some stores I do direct distribution (personal delivery or UPS shipping) some stores I use a distributor. How do I calculate/average my self-distribution costs like shipping UPS or personal delivery? Should I also add a cost in for getting the product to my distributor? Lastly, do you think a factor of 1.3 to cover variable expenses is too high and/or should that be enough to cover shipping/transportation I asked about in my previous paragraph? You could multiply by 1.3 but that will result in a high product cost on shelf. The idea is that your gross profit margin is built in to cover your operating expenses. Those are deducted from your gross profit margin. For shipping, just pass the rate on that you’re charged. No need to nickel and dime the retailer. It’s the cost of doing business to ship orders out. Your 30% margin for operating expenses is a great average across the industry. Thanks for your response! To be clearer in my original post, i multiply my cogs by 1.3 to cover variables and THEN I factor in a 20% margin for me and a 15% for distributors. The 1.3 I multiply my cogs by is a number I just came up to cover variables like insurance and kitchen costs. Im working with a contract manufacturer who is making my product, do I still need to get a 30% margin or will it be less since I am not making the product myself. Also, for shipping to the stores should this be paid from my end of should I calculate it in the price of the buyer. You want a 40-60% margin on top of the co-packer’s price. For shipping, the store usually takes care of it unless they order enough product for you to eat the cost. How long was it before your business became profitable? Any tips for becoming profitable quicker? I was profitable within the first year, but I was pretty scrappy. It took me about 3-4 years to get to a place where I could run my mustard company full-time. Hi Tony — sorry for the delayed reply. You’d need to get them made in a commercial kitchen that’s licensed with the state. You can’t retail something out of your food truck, unfortunately. I am going to sell my sauce that costs me $2.43. A large chain store is contemplating putting my product on their shelves. He asked me what is the cost? I’m assuming that is the price I’m selling it to him for? I’m not sure if I’m to charge a store the same I would a direct customer. Please help me figure what to charge! The cost is your wholesale cost to him. $2.43 is an expensive sauce that will likely retail for $9.99. Your pricing depends if you’re going through a distributor or not. Ideally, you factor this in so you won’t undercut them in the future. You can follow my blog post to determine pricing from there.